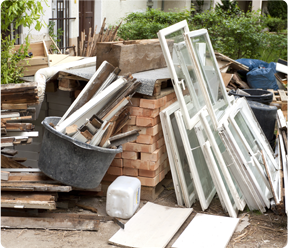 All Things Junk can remove almost anything - no matter what kind of cleanup project you have, we can take away just about any junk you need taken away. Plus, we donate, recycle, and repurpose whatever we can, so you can feel good about working with All Things Junk. When we come to remove the junk and debris from your home, business, construction site, or wherever you need us, we will remove everything in a careful, courteous, and professional manner. For fast and friendly appliance pickups, furniture removal, demolition cleanup, and almost any other type of junk removal, you can count on All Things Junk. Almost anything else you need taken away! When you are ready to get started on your cleanup project, schedule your appointment for junk removal in Windsor or throughout Essex County today!